I think its safe to assume that we’re all still recovering from the insanity that was Thursday’s NBA Trade Deadline; well, at least we’re all still scrambling to figure out how it will impact the world of DFS. Just over 48 hours removed from the jumbling of 26 of the league’s 30 rosters and rotations, several teams will play their first contest since the madness this evening. A few players will even make their debut for their new squad. This basically means two things. One, for up-to-the-minute reports and analysis, you should definitely download the DK Live app. Secondly, it’s going to be a really fun eight-game slate. Here’s who I’m giving a serious early look toward at every single position. Let’s dive in. Kyrie Irving, $9,500, BOS vs. LAC — This is a battle of opposite forces. Ironically, despite all the off-court uncertainty, Irving has been a rock between the lines for the Celtics, bringing back at least 5x value in eight of his past nine games played. The one time in that span he didn’t? A 4.9x value showing against the Hawks, where Irving dropped 32 points on an efficient 11-of-19 from the floor. He’s been a model of consistency since mid-January, averaging 9.9 assists and 14.4 potential assists — giving the elite scorer another high-quality skill to fall back on. On the other side, we find the Clippers. Los Angeles saw more roster turnover than any team at the deadline, so it’s difficult to assume that the fact they’d allowed the fifth-most DKFP to point guards still holds any bearing. However, I will point out that the Clippers were a poor defensive team prior to the trades and, generally speaking, swapping out half your squad mid-season doesn’t usually improve something as communication-based as defense. Irving should have his way tonight. Dennis Smith Jr., NYK vs. TOR, $5,900 — He’s still too cheap. Though he scored a career-best 31 points on Friday evening with eight dimes, Smith’s price-point jumped a mere $100 coming into this matchup with the Raptors. Based upon his new role and the unconscious vigor with which he hunts down his own shot, I wouldn’t be shocked to see the sophomore find a home above $7K at some point very soon. In the meantime, let’s take advantage of the savings. In his three games with New York, Smith owns a massive 29.8 percent usage rate to go along with a nearly five-minute bump in his average playing time per contest. Really, if you want to throw out Smith’s initial game with the Knicks, he’s played 75 minutes and taken 40 shots his past two times on the court. That’s insane levels of utilization. Toronto possesses a formidable defense, but I’ll take usage over opponent any day of the week. Jrue Holiday, NO at MEM, $8,600 — If we are to believe Adrian Wojnarowski’s report that Anthony Davis ($10,500) will not be playing the second night of back-to-backs the rest of the season, Holiday will be a man on an island this evening against an almost unrecognizable Grizzlies team. Though he’s not been incredibly efficient in the 629 minutes he’s played without both Davis and Elfrid Payton ($5,300) so far this season, the raw output of a 27.9 percent usage rate and 1.28 DKFP per minute have been more than acceptable. In fact, since Davis went down 10 games ago with a finger injury, Holiday has put up an average of 47.1 DKFP, only once dropping below the 40-point threshold. He’s reliable, the matchup’s good, and his price is down $600 from Friday. This has all the makings of a very exploitable situation. David Nwaba, CLE at IND, $3,700 — Attempting to dissect the Cavaliers’ roster will make your head hurt, but here’s what we know heading into tonight’s tilt with the Pacers: Kevin Love has already been ruled out and its unlikely that Cedi Osman ($5,600) suits up for the third-straight game. That doesn’t leave many bodies for a team that ran a pretty tight eight-man rotation in Friday’s loss to the Wizards; well, eight-man if you don’t include the six-and-a-half minutes Love played. Nwaba was on the court a little longer than that. In fact, the oft-injured guard played the most minutes he’s seen since all the way back on Nov. 24. That’s simply the key to his viability. On the five occasions that Nwaba has played at least 25 minutes in 2018-19, he’s averaged 26.3 DKFP. Already locked in as a starter, it’s hard to envision the 26-year-old not reaching that mark this evening. Otto Porter, CHI vs. WAS, $5,600 — Come on, you know you want to. Narrative street will be out in full force tonight when the Bulls face off with the Wizards, as the two teams executed a trade three days ago that sent Porter to Chicago for Jabari Parker ($4,800) and Bobby Portis ($5,400). Unfortunately for Washington, additions like that will not be assisting a defense that has allowed over 114 points per 100 possessions across its past 10 games. Really, even before shipping out arguably their best one-on-one defender in Porter, the Wizards were consistently one of the best squads to pick on for DFS purposes. They run at a high pace — only the Hawks have allowed a higher amount of points per game in 2018-19 — and they own the worst rebounding rate in the Eastern Conference (46.7 percent). They’re bad. So, while Porter’s modest nine field goal attempts in his Bulls debut wasn’t ideal, if he’s in revenge mode tonight, he should have little problem filling out the stat sheet. Bruno Caboclo, MEM vs. NO, $3,700 — Its alright if you’d prefer to play this one by ear. As of writing this, it’s unclear whether any of the pieces Memphis acquired from Toronto will be active for tonight’s contest with the Pelicans. So, when I say that the Grizzlies were only able to field a squad of eight men in their most recent game, remember that reinforcements should be on the way in the form of Jonas Valanciunas ($5,100), Delon Wright ($3,200) and C.J. Miles ($3,000). However, someone named Julian Washburn ($3,200) just played 37 minutes for the Grizzlies. It’s bleak. Not to say Caboclo’s much better, as notoriety and ability are not the same thing. Still, the former first-round pick has been intriguing when given some decent run, topping 6x value all three times he’s played over 25 minutes for Memphis. There’s also the matter of New Orleans surrendering more DKFP to small forwards than any other team in the league. I’ve been waiting five years to say this, but Caboclo is viable on this slate. Paul George, OKC at HOU, $10,000 — We know two things about this game: It’s going to be high-scoring and its going to be close. Well, I guess we can’t technically be sure on either of those two promises. However, it is a fact that this Thunder-Rockets contest owns both the highest implied game total and the lowest point spread of any matchup on this eight-game slate. That’s good news for George, who has been about as consistent a fantasy asset as you could have when forced into playing in excess of 35 minutes. The All-Star has averaged 58.2 DKFP the past 10 times he’s crossed the threshold, most recently dropping 39 points and eight rebounds on Orlando in a 132-122 victory. With no team in the NBA allowing more rebound to opponents in its past 10 outings than Houston (49.6), George should have a legitimate shot at a double-double this evening. Adding that level of secondary production to his immense scoring ability is a tantalizing combination, to be sure. Bobby Portis, WAS at CHI, $5,400 — Look, beyond just being a simple man who flocks to the obvious storyline, this is more than revenge – it’s undeniable how torrid Portis has been across his past three games. The newest Wizard has attempted 58 field goals in that timespan, equating out to a mind-boggling 24.6 shot attempts per 36 minutes. It’s not like he’s been inefficient with that volume, either. Portis has hit 60.3 percent of those 58 field goals, averaging 29.7 points and 42.9 DKFP. Can this run last forever? Probably not. Yet, with a 31.7 percent usage rate in his first game in Washington, it’s clear that it won’t be from a lack of effort. Sometimes I’d suggest that a player wouldn’t care about taking on his former organization, but, in the specific case of Portis, I feel like he won’t be shy about his intentions. Lauri Markkanen, CHI vs. WAS, $7,500 — While all eyes will be on the traded players in this matchup, let’s focus in on a man who has dropped at least 30 points in three consecutive games. Markkanen has hit at least 5x value in eight-straight contests, even going so far as to post a double-double in five of his past six appearances. That last part is crucial considering tonight’s opposition. As previously mentioned, few teams have as much trouble controlling the glass as Washington. In fact, only the Suns can claim to own a lower total rebounding rate for the season. On average, the Wizards allow 47.3 opponent rebounds a night – the third-most in the NBA. They’ve also surrendered the highest opponent three-point shooting rate at a whopping 37.5 percent. I don’t want to simplify Markkanen’s skill set too much, but boards and threes? Sounds like a match made in DFS heaven. Ivica Zubac, LAC at BOS, $3,500 — Let’s round this thing out with just a little more trade talk. There’s really no way of knowing for sure how involved Zubac will or can be in his first game as a member of the Clippers, but we do know for sure he’ll be active. A quick glance at Los Angeles’ roster will also reveal the glaring hole that is their current depth at center, the obvious effect of shipping Boban Marjanovic to Philadelphia and outright releasing Marcin Gortat. While Johnathan Motley ($3,500) and Angel Delgado ($3,000) remain, they are not exactly the most daunting impediments to playing time. I’d expect Zubac to be heavily involved for the Clippers on Saturday; and, with his per 36 averages of 19.6 points and 11.3 rebounds, his microscopic salary can’t be ignored. 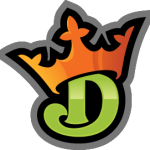 I am a promoter at DraftKings and am also an avid fan and user (my username is theglt13) and may sometimes play on my personal account in the games that I offer advice on. Although I have expressed my personal view on the games and strategies above, they do not necessarily reflect the view(s) of DraftKings and I may also deploy different players and strategies than what I recommend above. I am not an employee of DraftKings and do not have access to any non-public information.